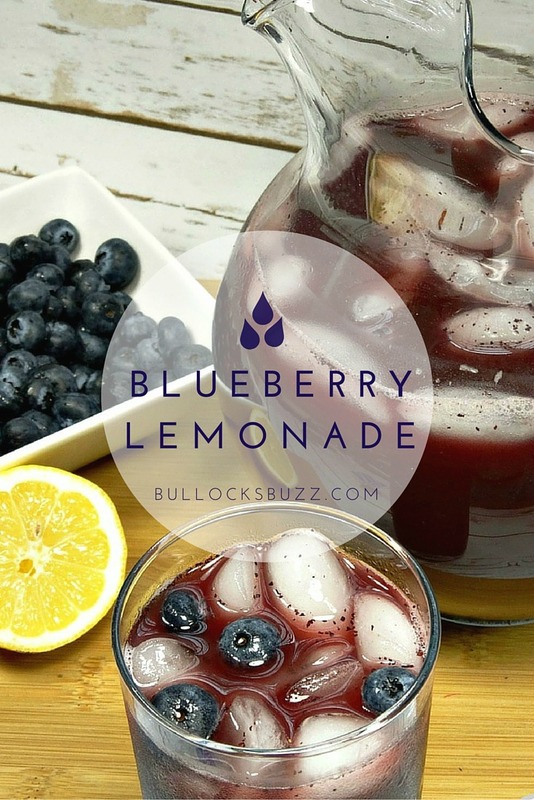 Fresh, sweet pureed blueberries combined with tart lemon makes for a deliciously refreshing summer drink in this Homemade Blueberry Lemonade! As the weather gets warmer and the days get longer I begin to get summer and sunshine on the brain. And one thing I have always equated with summer is homemade lemonade! Is there anything more refreshing on a hot summer’s day than a tall glass of ice-cold, made-from-scratch lemonade? As spring begins to roll into the long hot lazy days of summer, it’s the perfect time to try this variation on that summertime classic. Made with fresh-squeezed lemon juice and sweet, juicy blueberries, this Blueberry Lemonade is the perfect combination of sweet and tart – and it tastes just as good as it looks! 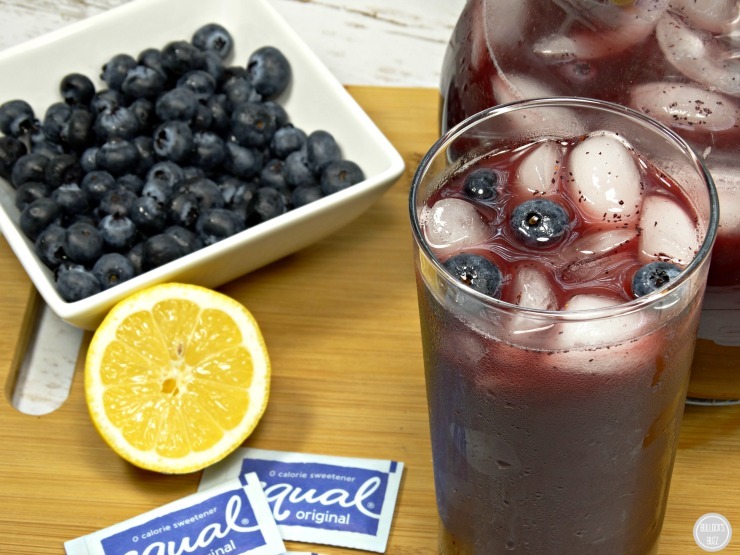 Thanks to the use of fresh blueberries, this delectable drink is high in antioxidants, and because I used Equal® 0 Calorie Sweetener instead of sugar, it’s low in calories, too! It’s a much better option for your family than those sugar-loaded store-bought juices. And best of all, it’s easy to make. As is, this homemade lemonade recipe makes about 1/2 pitcher. Once you begin to combine the ingredients, taste it as you go in order to get the amount of sweetness you prefer. Tip: to get the most juice out of the lemons, bring them up to room temperature first. Place the blueberries, Equal® 0-Calorie Sweetener and 1 cup water in a blender. Blend on medium-high speed for about 1 minute, or until the blueberries are completely pureed. Next, strain the blueberry puree through a fine mesh sieve (or skip this step if you don’t mind small pieces of blueberry in your lemonade). 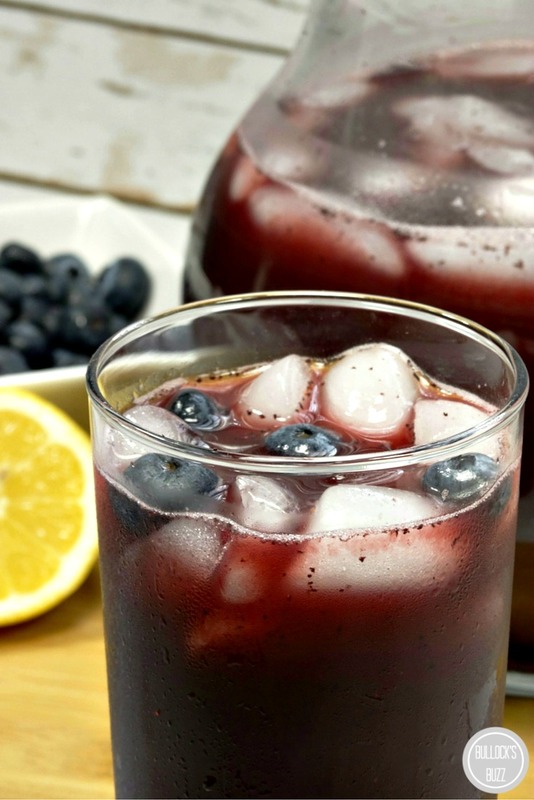 In a pitcher, combine the blueberry puree, the lemon juice and the remaining 3 cups of water. Stir well, then taste. If needed, add more water. Stir well, and chill for at least an hour. Serve over ice. Enjoy! Equal® 0-Calorie Sweetener is a great-tasting, sugar alternative that adds just the right amount of sweetness and flavor. It’s so versatile it can be used in cooking, baking, and to add a bit of sweetness to your favorite beverages. I use it in my coffee, in smoothies, and even sprinkle it over my cereal. It’s a great alternative to sugar, especially for those people living with diabetes who want to replace to reduce their sugar intake and keep their blood glucose levels in check. Be sure to check out the handy-dandy printable recipe at the bottom of the post. Fresh, sweet pureed blueberries combined with tart, fresh-squeezed lemon juice makes for a deliciously refreshing summer drink! Place the blueberries, Equal 0 Calorie Sweetener and 1 cup water in a blender. Blend on medium-high speed for about 1 minute, until the blueberries are completely pureed. Strain the blueberry puree through a fine mesh sieve (you can skip this step if you don't mind small pieces of blueberry in your lemonade). In a pitcher, combine the blueberry puree, the lemon juice and the remaining 3 cups of water. Stir well, then taste. If needed, add more water. Stir well, and chill for at least an hour. Tip: to get the most juice out of your lemons, bring the lemons to room temperature before juicing. Looking for more refreshing drink recipes? I only use it in my morning coffee. I use equal in all of my drinks! It’s so healthy and tastes great! I would have to be in my ice tea… That is really the only time I think I have used it. I use Equal in my coffee, iced tea and when I make cookies. 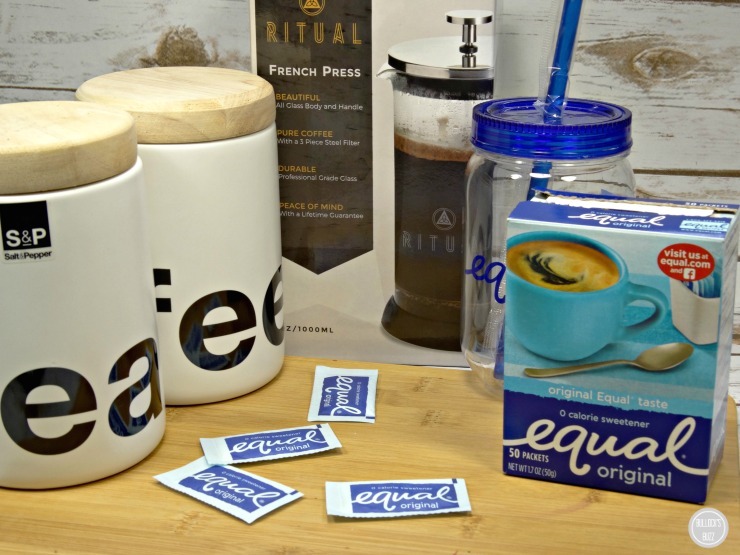 I use Equal in my drinks–hot tea, cold tea, lemonade, etc. I also use it in recipes that I am trying to make less fattening. I like it with coffee. I use it in my sun tea. I use Equal in my sweet iced tea.